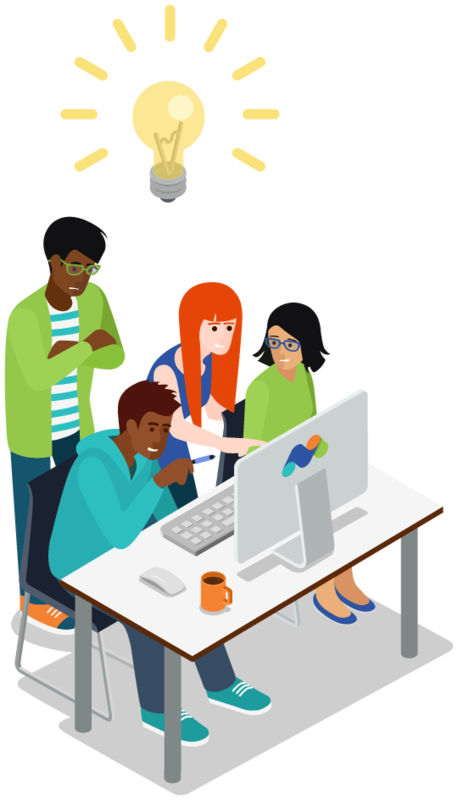 Get the full benefits of a web analytics and conversion optimization platform all in the one place. Through optimizing your messaging, content or your page layouts, you will increase conversions by getting your visitors through a clear pathway to achieve your business goals. When we talk about optimizing websites to improve and increase conversions, we’re really talking about conversion rate optimization (CRO). CRO is the process of learning what the most valuable content/aspect of your website is and how to best optimize this for your visitors to increase its chance to convert. It typically involves generating ideas for elements on your site or app that can be improved, learning which pathways visitors are most likely going to take to conversion and then validating those assumptions through A/B testing and multivariate testing to transform learning into actionable insights. 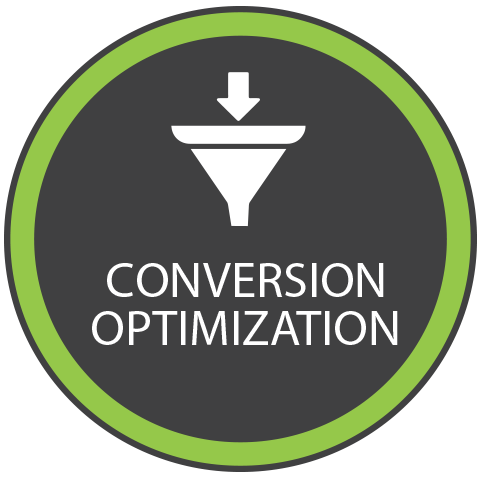 The conversion rate is expressed as a % and the goal for any business should be to increase the % of conversions for any given goal e.g. in February a website had 200 newsletter sign-ups from 1,000 visitors on its sign-up page, a conversion rate of 20%. CRO should be used to increase the sign-up rate from 20% to 25%, and then eventually from 25% to 30% and so on. You need to consider your website or business’ objectives (bigger picture) as well as your website goals (smaller achievements). Whatever the aim of your website, it’s crucial for this to be your starting point. Figure out what you want your website to do and what you want visitors to get from it. When you do that, you’ll know what conversions to focus on. visitors successfully filling in a contact form. It all depends on where you’re catching them in their buyer’s journey on your website. The question is, what do you want your website to do/achieve? Define your business/website’s objectives. Do you want the website to drive sales? Is the website a hub to raise awareness for a charity? Do you want to increase readership for your news site? Define what your conversion goals are. This helps you narrow your focus so you follow a path to meet your overall objectives. By defining these, you clarify for yourself the next actions you should take, such as wanting to funnel users through to a sign up landing page. Then you’ll need to optimize and test your sign up landing page. If conversions are low, then tweak it and measure the results until you find you’ve increased conversion rates. Figure out what your Key Performance Indicators (KPIs) are and the metrics you need to focus on to achieve them. Through a range of strategies you can implement, such as increasing engagement and putting to use your suite of analytics tools, you’ll better understand your customers and be able to tailor your website to match their preferences. Ultimately making visitors’ needs and wants aligning and creating the outcomes you’ve set forth in your business objectives. A goal is the measure of a successful action that you want your visitors to take. The more goals you track, the more you can learn about behavioural changes as you implement and modify paths that lead to conversions over time. You’ll understand which channels and campaigns (SEO, PPC, newsletter, blogging etc.) are converting the best for your business, which cities/countries are most popular, what devices are working and how engaged your visitors are before converting. This is one of the most important features to help you optimize your website for conversions. Learning visitor behaviour is a driving force to increase conversions. How? It lets you identify where you could be taking action to increase conversions. You get the opportunity to learn first-hand from your visitors about what content or feature on your site is or isn’t working for them. Engagement is essential to help increase conversion rates. If your visitors aren’t interested in the content on your site, then there’s very little chance they’ll be interested in what you have to offer. How to improve conversion rates with Behaviour: Get started by reducing bounce rates on important pages, testing messaging on your most popular entry pages, testing on the highest exit pages to reduce visitors leaving the site, learning pathways through Users Flow and Transitions to see if users are taking pathways that lead them to conversions or are the journeys currently long or go in odd directions. Discover how your visitors are responding to your content. The happier your visitors are to stay on your site, the more likely they’ll be able to move through the journey to help you achieve the goals you’ve set for your site. Test anything and test anywhere to increase your conversions. Grow your website by comparing different versions of your landing pages to determine what works best for your users. Subtle tweaks across different versions of your landing pages can have a significant impact on converting incoming traffic. Or, it could be an entirely different page layout altogether. The idea is to see if either page A or page B (or C or D) was most successful in getting your visitors to the next step in the conversion funnel. How Matomo used A/B Testing: For our sign up page we tested three different CTAs and found how phrasing words differently could help improve conversion rates. 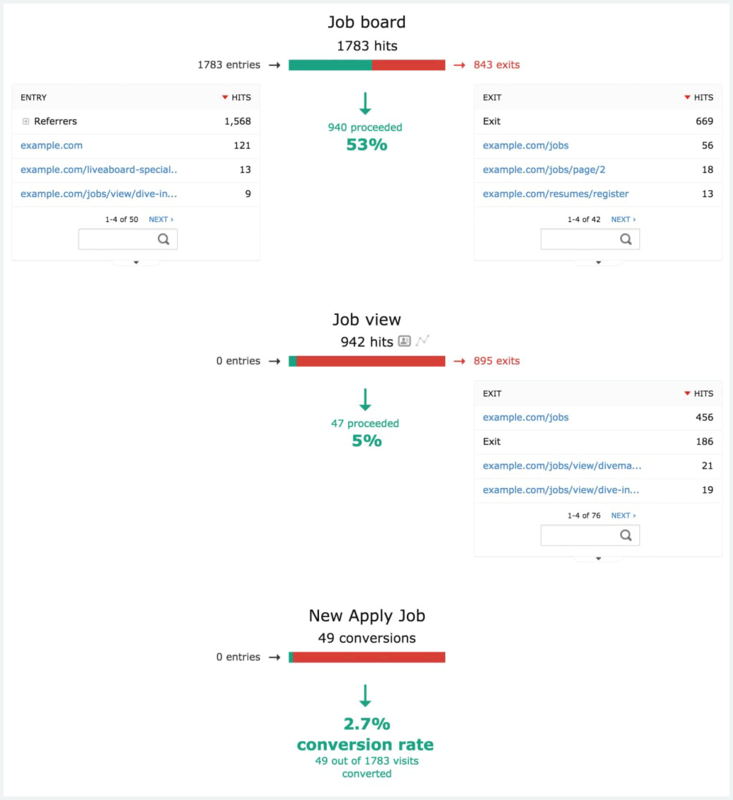 Both “Start improving your websites” and “Start converting more users now” were stronger CTAs and converted 7% more than, “Start my free 30-day trial”. This is vital to show how your visitors are engaging with your website, blog pages, signup and sales pages. 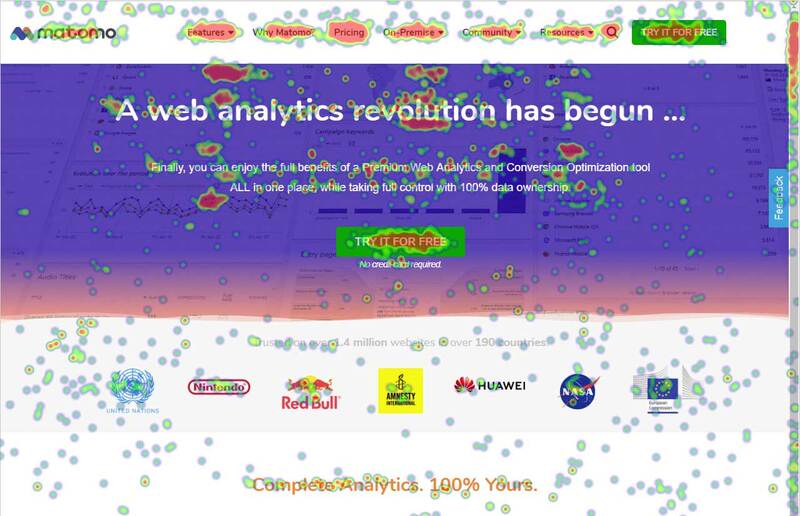 If you want to learn how your visitors really engage with your website to increase conversions, Heatmaps lets you see the results visually without any guesswork. By showing you where your visitors try to click, move the mouse and how far down they scroll on each page you can effortlessly discover how your visitors truly engage with your most important web pages. Rather than guessing, rely on facts to prove if the changes you make actually improve your website or not. If you’ve got important information that will sell your service/product or bring you loyal followers, make sure it’s in the hot zones as shown in your heatmaps. Try to rearrange parts of your pages to see if that increases engagement. Make it easy for people to take important actions by having the CTA above-the-fold where 100% of visitors see it. Make sure you don’t clutter this section with too many messages or actions. You can also identify areas to add links as heatmaps shows where people want to click. This is a conversion research technique where you learn what your users are trying to do and make sure your website is optimized to give them what they want. With Session Recordings you can playback all the interactions your visitors took on your website, such as clicks, mouse movements, scrolls, resizes, form interactions and page changes in a video. Truly understand how real visitors are using your website and what experiences they’re having. Also, by understanding what’s working you’re increasing the usability of your website, Session Recordings allow you to identify problem areas as well as where users are getting stuck. How to improve conversion rates with Session Recordings: For example, on a product landing page, you see your visitor highlighting specific words and putting it into search. With this you can observe what they’re trying to find and what they’re actually interested in. As you tweak the page to ensure what the visitor wants can be easily found, you’re taking steps to increase the chance for more conversions. At a glance you will learn the steps (actions, events and pages) your users go through to the desired outcomes you want them to achieve whether it’s a sale, sign-up or any other particular goal you have defined. Looking at the entire conversion funnel and focusing on usability, you’ll be able to identify where your visitors are having problems, where they aren’t understanding the flow of your webpages and identify obstacles that get in the way of your users reaching that end goal. 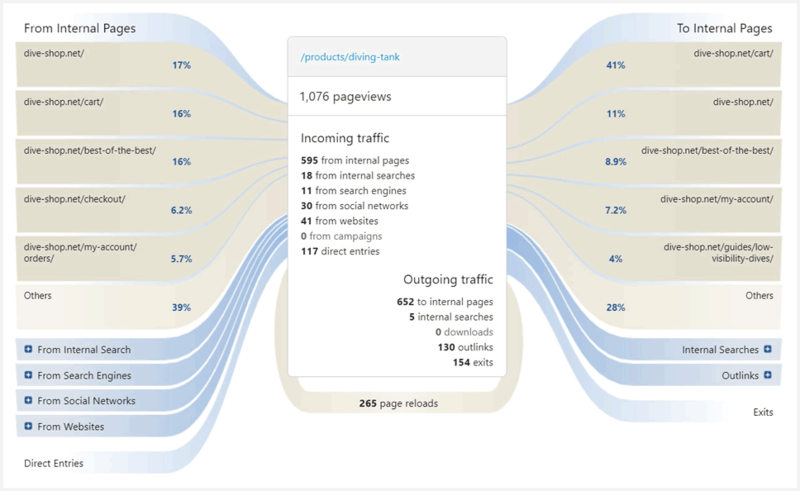 How to improve conversion rates with Funnels: Learn what makes your visitors take action (or what stops them) in progressing to the next step in the conversion funnel. At each step, you’ll discover what content/layout resonates with your visitors and you can optimize your website to have the greatest impact on your business. 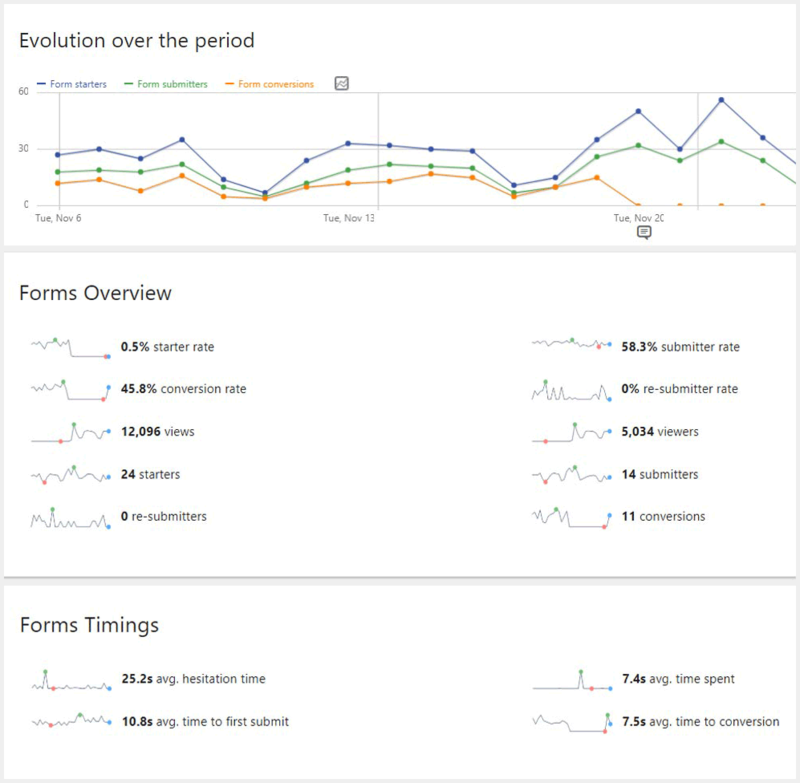 Form Analytics gives you powerful insights into how your visitors interact with your forms (like cart, sign-up and checkout forms). Online forms can come in thousands of different variations. It’s an area on your website that if not done right, could lead to you missing out on converting a large portion of your visitors. Rely on facts when you change your forms. How to improve conversion rates with Form Analytics: By proving whether your form is doing better when you change it and by how much. This lets you consistently increase form submission rates (conversions) on your website which is crucial to the success of your business. Do privacy-focused industries need conversion optimization? 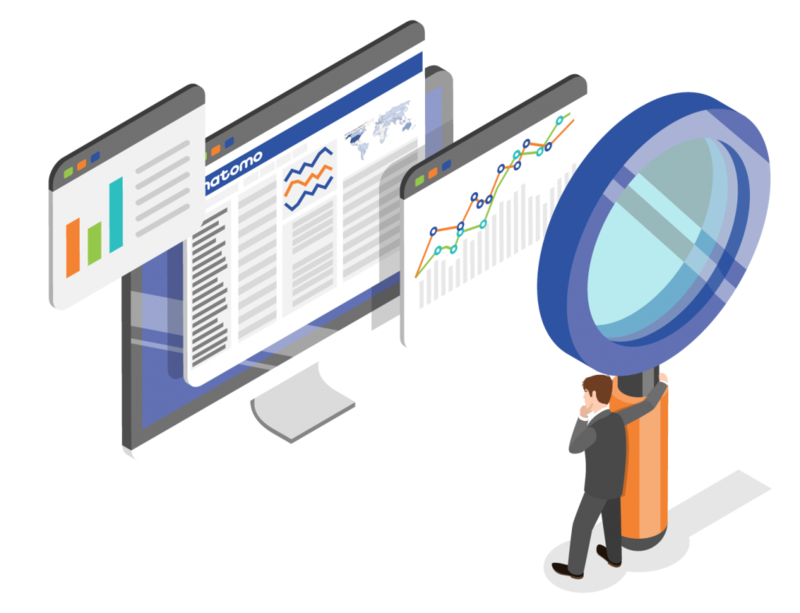 For industries that place extra emphasis on privacy and security, Matomo is a complete analytics tool that can cater for all your needs. 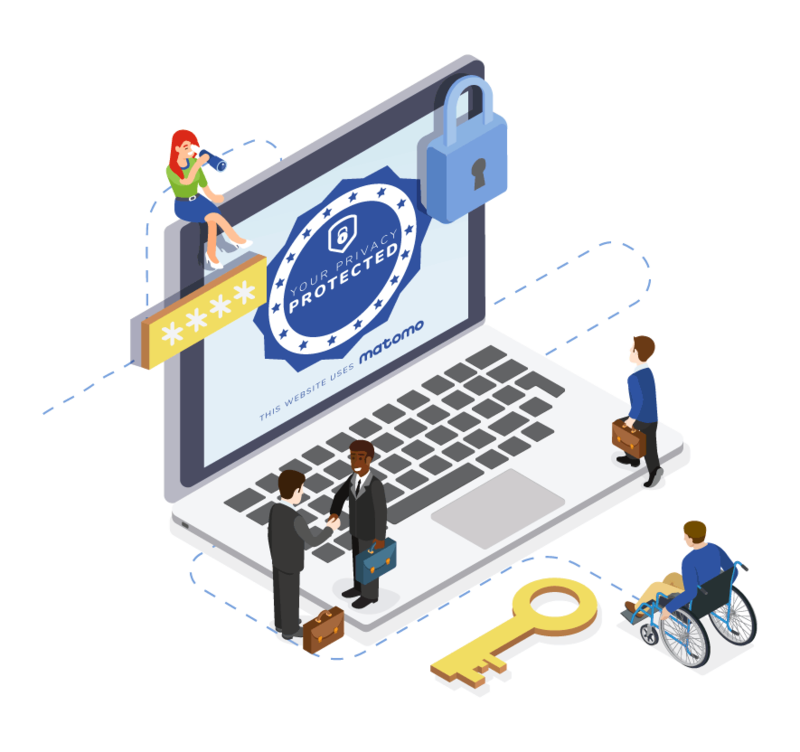 You get the full benefits of a web analytics and conversion optimization platform as well as peace of mind knowing Matomo places emphasis on security/privacy and adheres strictly to GDPR. If you operate in a data sensitive industry like in government, healthcare, finance, education etc. you can rest assured knowing your user’s privacy is respected and that you will have 100% data ownership. Get a good indication that your conversion optimization efforts are working by knowing where to look and this starts by going through the metrics in your analytics. Below we list how you can make a start. “Best” metrics are hard to determine so you’ll need to ask yourself what you want your site to do. How do you want your users to behave or what kind of customer journey do you want them to have? Always improve the conversion rate % for your goals e.g. if you currently have a 5% conversion rate for selling a product, aim for 10%; if 30% of your visitors are downloading your e-book, then aim for 40%, then 50% and so on. Through optimizing your messaging, content or your page layouts, you will increase conversions by getting your visitors through a clear pathway to meet your website’s goal.